Someone asked me before I left for this trip was I nervous. I said no, other than my dislike of flying, travel in general, hotels, and being away from home, it should be fine. It’s all about attitude, you know! I really haven’t been sleeping too good, but that’s nothing too uncommon for me. This last night, though, for whatever reason, I didn’t get more than a couple of hours sleep. So, I was dragging when I got down for breakfast. I knew we had a big day. I knew I had to wake up. Today, we started our day off by taking a boat out in the middle of Sea of Galilee. If you know me, you know that I’m not a big fan of all of water, so going out on a boat is never my idea of fun. But, it was a beautiful day and we even go to see one of the men on the boat cast his net to fish with, just like the disciples would have. From there we went to Kursi. This is the village where Jesus cast the demons out of man, an into a herd of swine. From there we went to Bet She’am. This was a Roman city, part of the Decapolis. It is one of the most extensive sites that show what a first century Roman town would look like. After that, we went to Harod Stream . This is the location of Ahab’s palace. From this spot, you can also see the Mountains of Gilgal, where King Saul was killed. 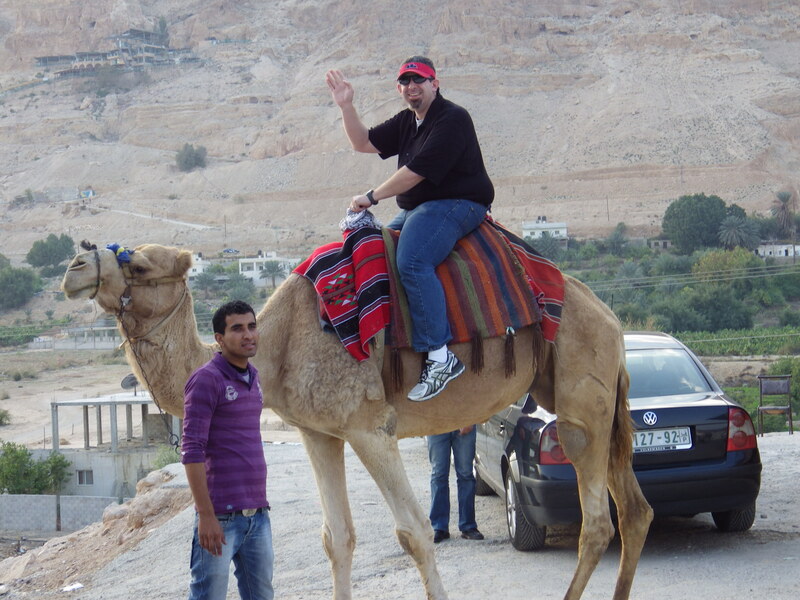 After that, we went to Jericho and after giving my beautiful wife Holly a tough time for many years about riding a camel, it was my turn. Yes, I rode a camel. Our day finished at the Wadi Qelt and the Monastery of St. George. This monastery is built along a wadi, which is a cavern. This wadi has a stream, and it is believed that it is in this area that Jesus walked during his 40 days in the wilderness where He was tempted. But, for me, the thing I took away from today was this. Connections. At breakfast, knowing all this was coming and knowing I didn’t sleep well, I knew this. I needed lots of coffee. So, after drinking my double shot of espresso, along with another cup of coffee, I was looking for at least one my cup of coffee. I walked to the back where the coffee was, and I didn’t see any. As I walked sadly away, I a guy said, hey, we’ve got some coffee. And he offered to share. I sat down started talking. This group was from Tennessee and asked where I was from. I said Hattiesburg. I assumed most folks that aren’t from Mississippi, if they hadn’t heart of Petal, have heard of Hattiesburg. He said he had family from that area, in fact one of his family members was buried around there. I said, yeah. I live off her parkway. How crazy is that? But wait, it gets better. Since he knew the area, I said, well, I’m really from a little town outside of Brookhaven. He said, well, his father was born in Hazlehurst. I was speechless. I said I met my wife in college at Wesson, he said Co-Lin? I mean, wow. 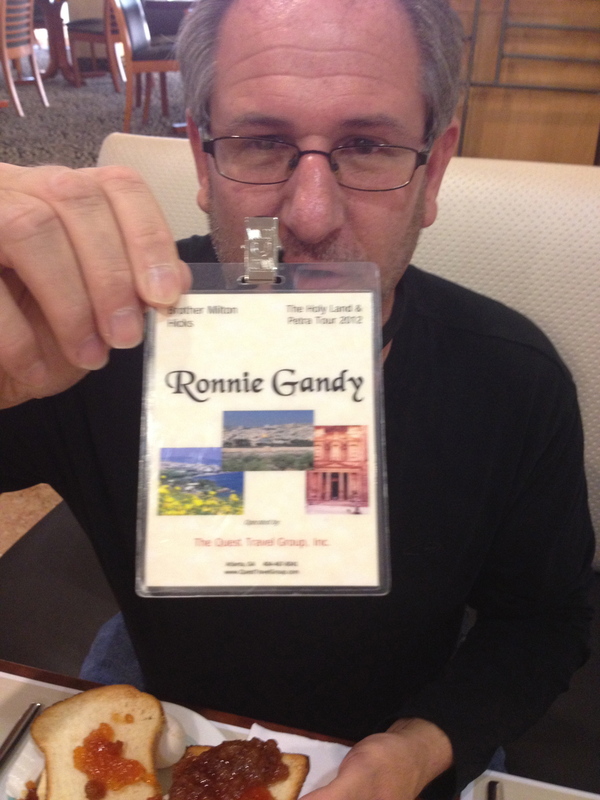 Here I was, halfway around the world, in Tiberias, Israel and I meet a guy whose family is from my neck of the woods and who has family that have the street I live off of named after. Ok, one more. Walking to Kursi, I see a guy walking out of the church area with a black jacket. And wait, does that say Ole Miss? So, I do what any Ole Miss fan would do. I scream out, Hotty Toddy! To which he responds Hotty Toddy! 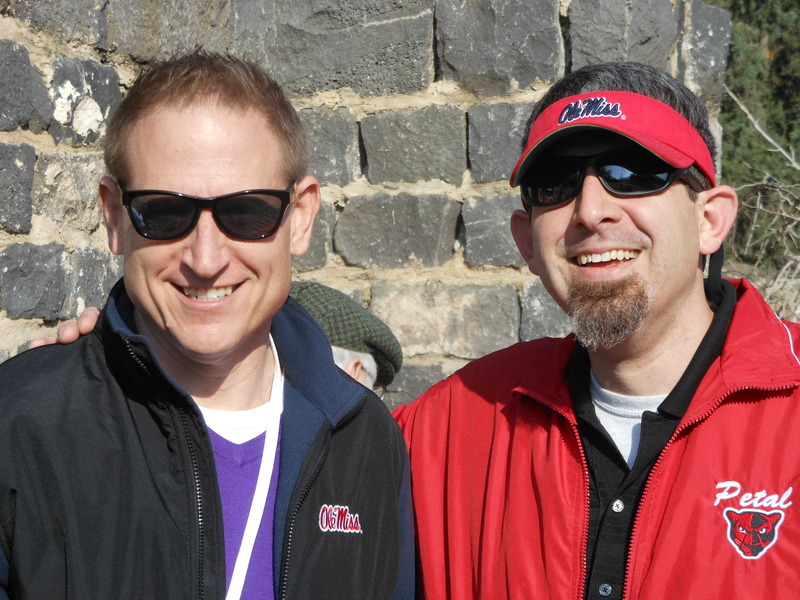 There I am, in the middle of this holy Christian site, in Israel, and I meet a guy that’s an Ole Miss fan. Wow. You never know who you may meet, where you may meet them. You never know the people who will come into you life, and you never know the impact you may make on someone’s life. It is a small world. And we are all connected, through Christ. No matter where you are, through Christ, we are connected. I am typing this out on a laptop on a bed in Jerusalem. You may be reading this on an email, through a blog, or on your phone. That’s amazing! That’s connection. And through Christ, that’s what we are. Today, we are connected to each other. I need you. You need me. We need each other. Let’s be there for each other. Let’s support each other. Let’s be as Christ to one another. I didn’t have to come halfway around the world to know that truth. But today was a great reminder of that great truth. Through Christ, all of us that believe, we are connected! Go out today, and be salt and light!